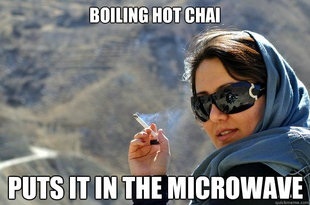 Persian Jokes. Chai = चाय Alo = Hello. Wallpaper and background images in the haremaster99 club tagged: sora atasunta funny stuff persian. This haremaster99 photo might contain धूप का चश्मा, काला चश्मा, रंगों, काले चश्मा, रंग, चित्र, headshot, closeup, हेडशॉट, and क्लोज़अप. <3 Forget Society आप ARE SO BEAUTIFUL! WONDERFUL! चित्रो that I relate to. When I found out I can post चित्रो on my phone.